A good friend of mine, who is a senior lawyer, often gets into a legal wrangle with his young son, a natural-born-lawyer by all accounts. As such, it is no surprise that when it comes to negotiating with his son, my friend is a mere novice. 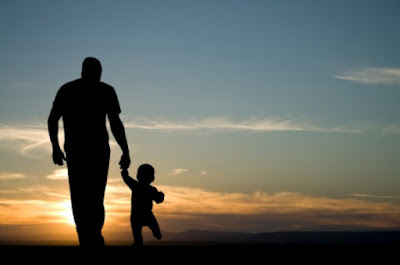 When insisting on his way, the little boy would plead with his father in the most pitiable fashion, teary-eyed and all, “Daddy, can you please do it my way just this once?” To which the father replies on cue, “I always do it your way!” No second guesses who gets to win every round. Though certainly not a model for good parenting, this story reminds me of what love entails. When you truly love someone, you eventually end up letting them have their way. I hope and pray that one day his son would come to love him as much as he is unconditionally loved by his father and to do it “Daddy’s way”. Today’s gospel begins and ends with an appeal to love the Lord and to manifest that love in obedience to His commands. Usually, we find the Lord exhorting His disciples in other places to believe in Him. But here in the fourth gospel, faith and obedience to the Lord’s commandments have been deepened and raised to the level of love. This may seem to be a strange idea since most modern people would not equate love with law. In fact, many would claim that there is an irresoluble dichotomy between the two. You may have often heard it in this manner, “God is a God of Love. He is not a God of Laws;” or, “People who are just concerned with laws, are not very loving, and those who are truly loving, are never bothered with laws or small-minded rules.” If you have ever heard any of these statements being made or may have even propounded them, then the gospel today goes a long way to address this false dichotomy that many have been set up between love and the law. Straight from the horse’s mouth, we hear our Lord speaking, “If you love me, you would keep my commandments.” In one radical twist, Jesus now makes one clear connexion between love and obedience. The problem lies in the fact that love has been reduced to the level of subjective self-definition, rather than as an objective reality. God is Love – that’s objective! There’s nothing subjective about it – who God is doesn’t depend on how we feel or what we think. But today, for many Catholics and Christians in general, our faith is becoming really ethereal, touchy-feely and abstract. For too many professing Christians, it seems that their relationship with God is dictated by how they feel towards God at the time or how they think God feels about them at the time. Closeness to God, according to this way of thinking and believing, is both, subjective rather than objective, and an experience rather than a reality. Expressions and outbursts like, “I just feel so close to God today,” and “Can’t you just sense the Holy Spirit’s presence in the room?” or “I didn’t feel God was present at mass today” become definers of one’s spiritual status. Likewise, empty protestations of loving God is matched by little to absolutely non-existent prayer or moral life. On the other hand, simply saying we love Jesus is not proof of our love. We won’t win any points through compliment and flattery. We must discover love in a free and willing observance of all the commandments of God. This is the only proper evidence and confirmation of our love for Jesus. The love for Him which leads one to do all of His will, to love one another, to love as He did, to forgive and even love one’s enemies. To observe all the commandments and to go beyond that, to go the extra mile that is to make the ultimate sacrifice of love, to deny oneself, to take up his cross, and to follow Him completely through the bitter and the sweet; that is love. According to the Scripture, a tree is known by its fruit, not by what the tree thinks about itself or its relation to its Maker. The fruit and thus the test for genuine love, is the keeping of His commandments. Obedience is how we prove our love for the Lord, and this is a very concrete, objective measure of the state of our relationship with God. And there is nothing abstract or ambiguous about this. This intimate and dependent connexion between love and obedience to God is something that needs to be stressed in this day and age, where love has come to be understood as being apathetic, non-judgmental, and based upon non-discerned emotions and feelings. Yet, how can it be authentic love if it is not connected to obedience to the word and commands of Christ Jesus? Whatever is not connected to the Truth, and Jesus is "the Way, the Truth and the Life,” is connected to the Father of Lies, Satan. Whatever is disconnected from love of God (Jesus, Love Incarnate), is connected to the hate of God (Satan). All sin is an exercise in disobedience to God’s word and commands. The reason why the love of the world is gravely disconnected from obedience to God is simply because it has rejected the authority of the Holy Spirit, the Advocate, whom the Father has sent to teach us everything and to remind us of His Word. Perhaps, there is an innate suspicion of obedience and laws in our modern day society. Obedience carries negative connotations. It implies and assumes an unthinking submission that reduces one to a level of a child or a slave. And so we associate obedience with compulsion; the lack of freedom or love. We view obedience as blind submission, a forced, unwilling decision to do something we don’t want to do because we’re afraid of punishment. But that’s not the kind of obedience that’s found in scripture. Today, Jesus reminds us – love involves obedience – “If you love me, you will keep my commandments.” It always starts with love. God is Love and His Law is ultimately an expression of His love. If not, God would be contradicting Himself. If the Lord’s commandments, His Law, express what the Lord wants and loves, and if we love Him, we must necessarily want what He wants and love what He loves. There is no two ways about it! The Law is letting love have its way, it is letting God have His way with us. How do we understand this truth except to look at the common-place example of a parent and a child? How does one know when a child truly loves his parents? It is evident when that child is willing, without hesitation, without contradiction, or without murmuring, to do all that the parents require him to do. He does so not out of fear of reprisal for his non-compliance nor in expectation of a reward. He does so willingly, freely, and whole-heartedly. Loving the Lord therefore is never just something emotional; loving Jesus means reforming our lives, working on our personalities and characters, overcoming sinful habits, stretching ourselves to love as Jesus loved. Loving the Lord means making His way ours too. The call of today’s Gospel is for us to develop a rigour of obedience to the Word, to the commands of our Lord and to His teachings handed down to us through the Apostles and His Church. What does that mean? In practical terms, what that means is for us to prayerfully work on deepening our relationship with the Holy Spirit. In daily exercise terms, it means to devote ourselves to the reading of Scriptures, to prayer, and to making frequent use of the sacramental channels of grace, especially the Eucharist and Penance. In living a sacrificial life of love, it means putting the needs of others before yourself, forgiving others immediately, and always desiring to draw closer to Christ. It is about doing it Christ’s way, not ours. For only Christ can show us that the greatest joy and freedom is to be found in doing it God’s way.